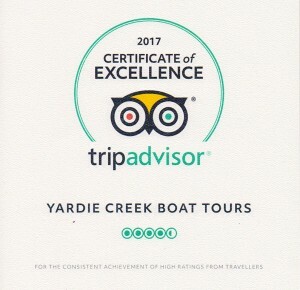 We strive to provide our guests with the best quality and consistent service we can, so it is always encouraging when our tour services are recognised by those within our industry and especially by our guests themselves. 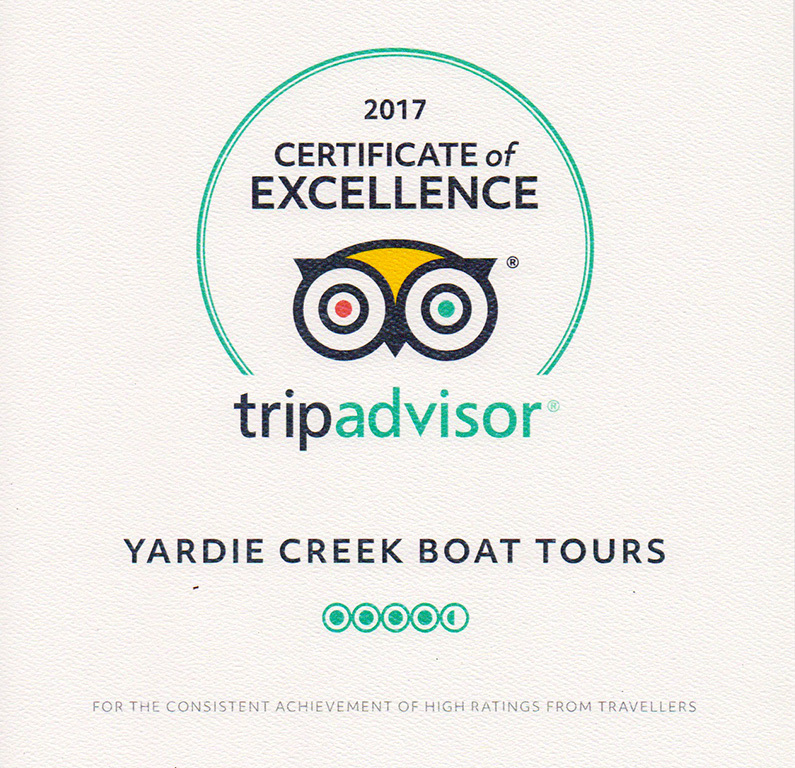 This award is for consistently receiving positive reviews on TripAdvisor. 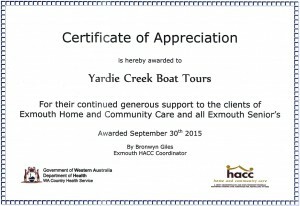 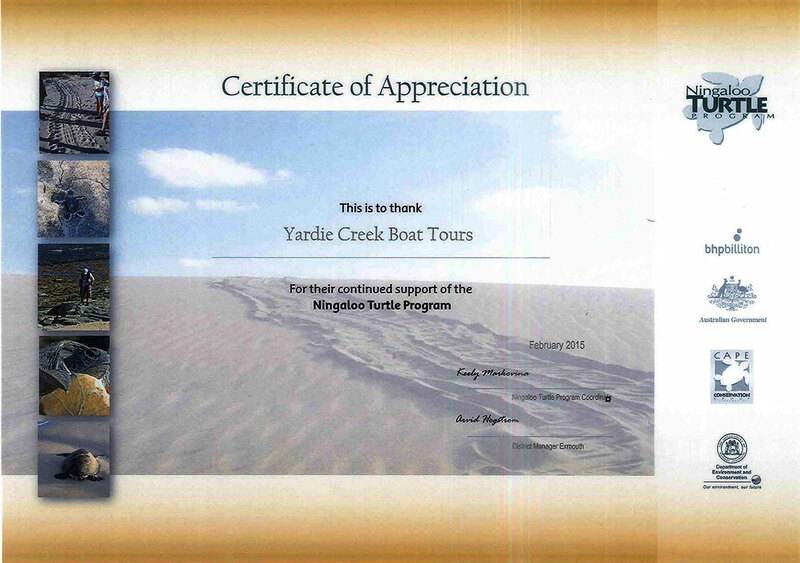 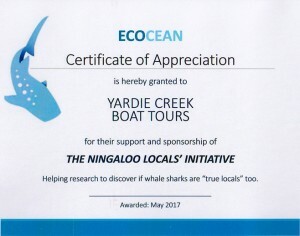 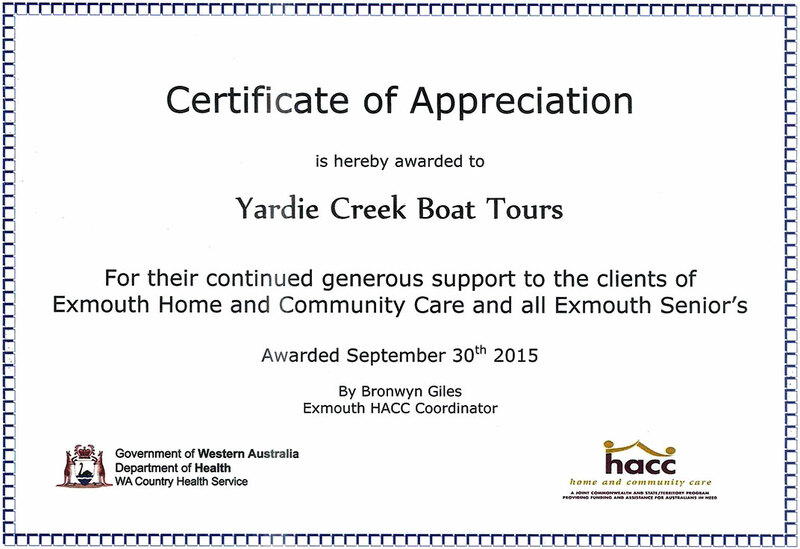 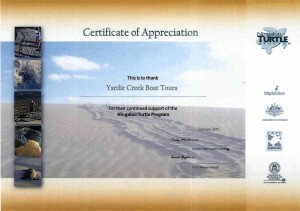 ECOCEAN – for our support of the Ningaloo Locals’ initiative. 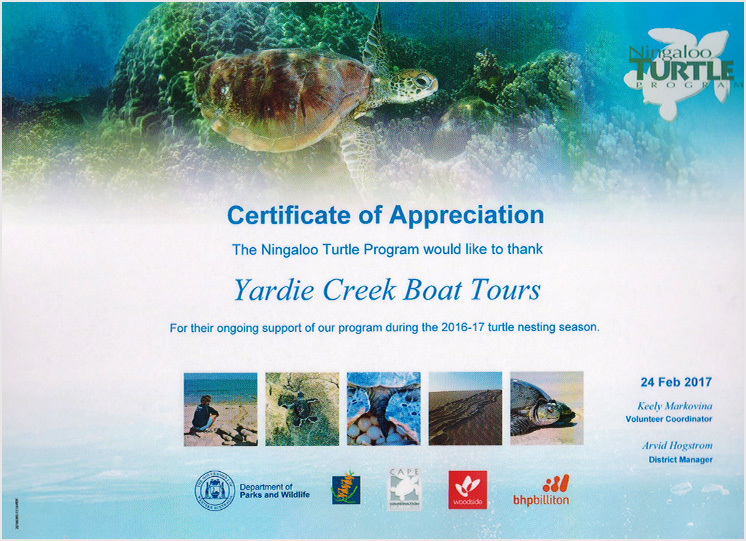 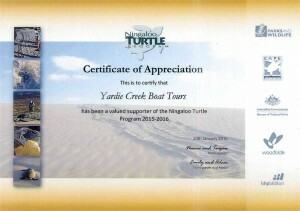 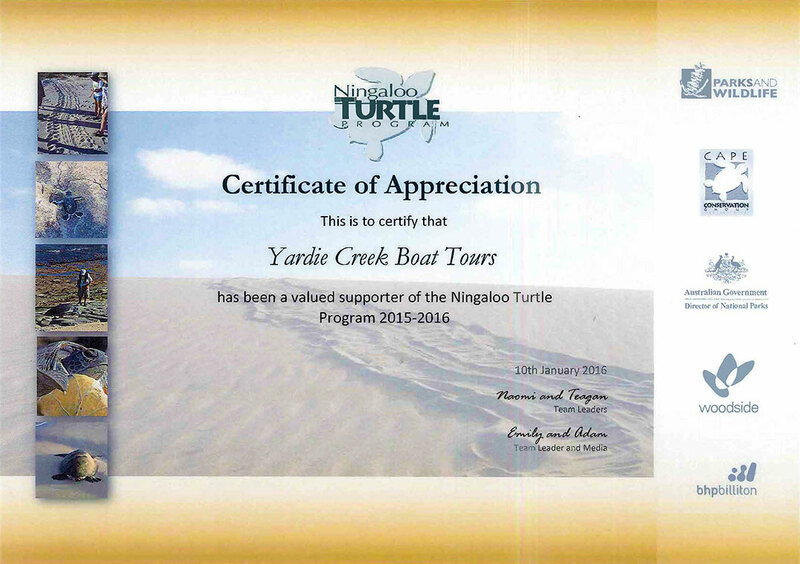 Ningaloo Turtle Program – for ongoing support of our program during the 2016-17 turtle nesting program. 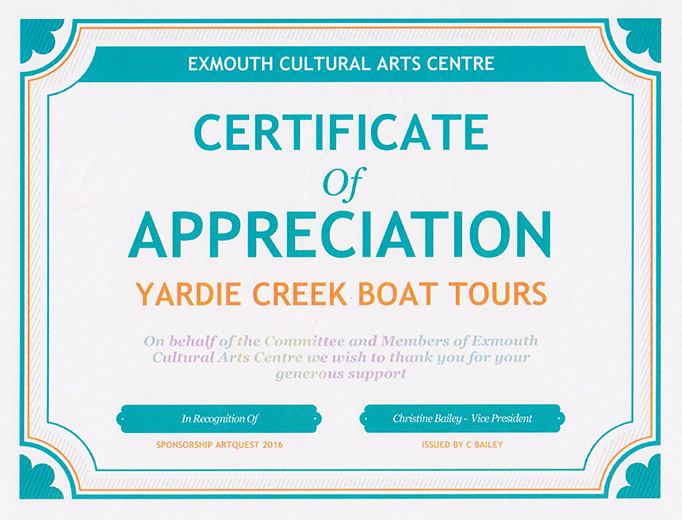 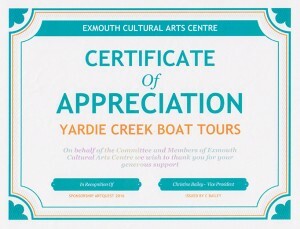 Exmouth Cultural Arts Centre – for ongoing support. 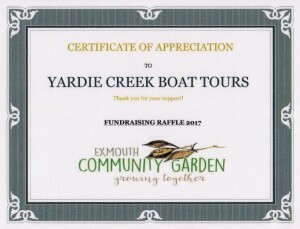 Exmouth Community Garden – Fundraising Raffle 2017. Exmouth District High School – Bo Davies and Eva Horak. 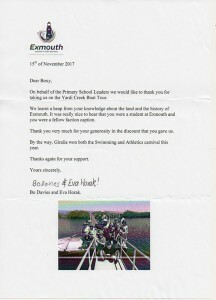 Boxy went to the Exmouth District High School himself – so this is a “special” one!